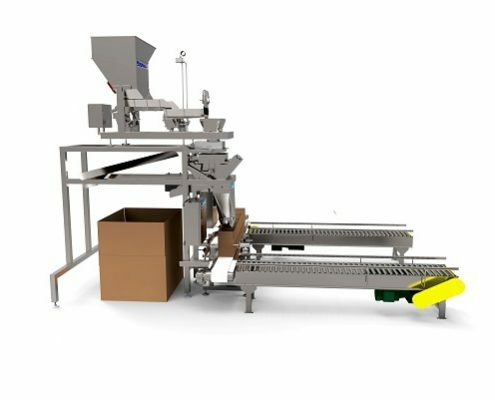 We manufacture a wide range of container filling systems for containers, cans, jugs, tubs, trays, clam-shells, cartons and more. 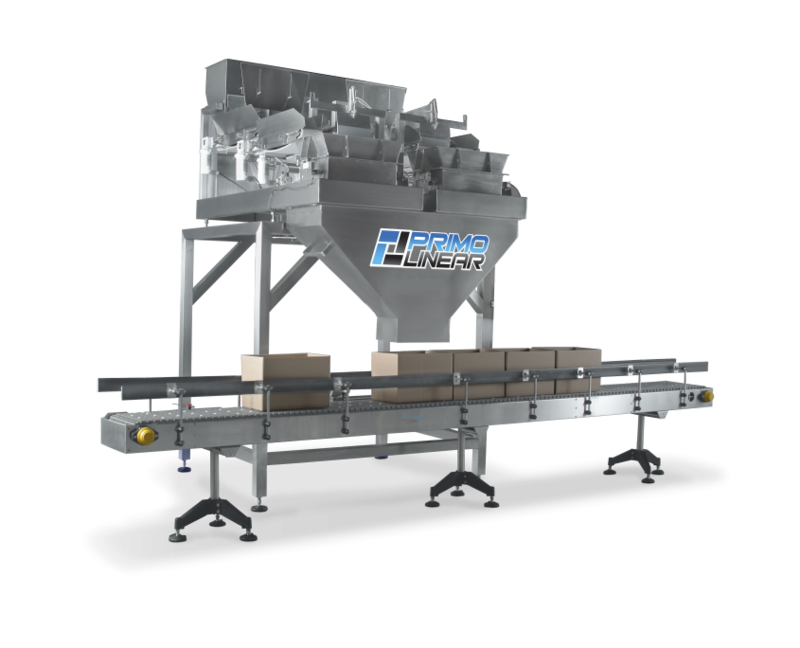 Our container indexing systems are engineered to your specific needs and designed for quick changeover and user friendliness. 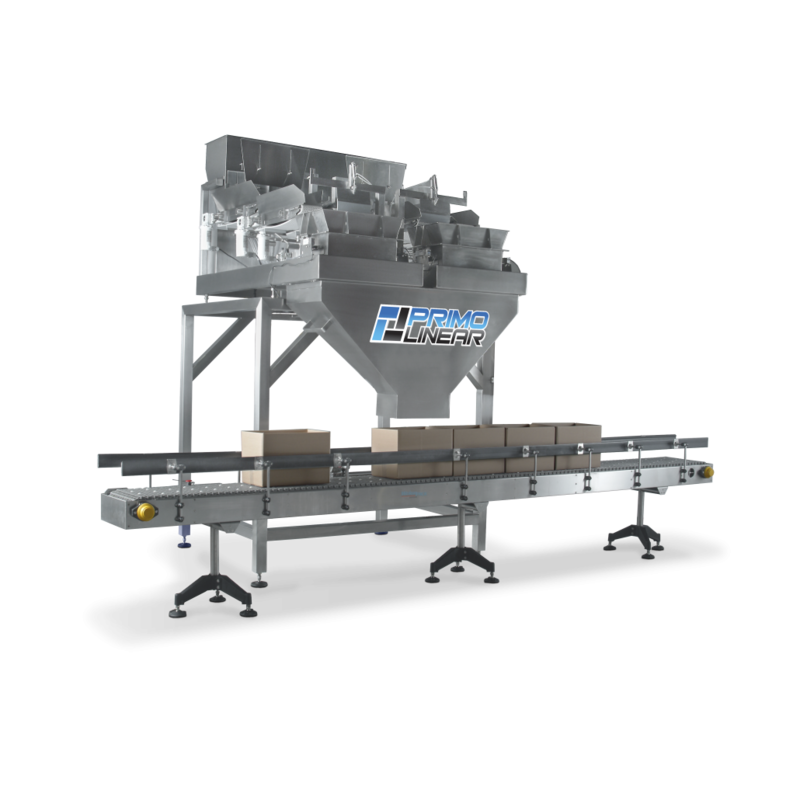 Built with a heavy duty stainless steel frame, PLC controls and color touchscreen. 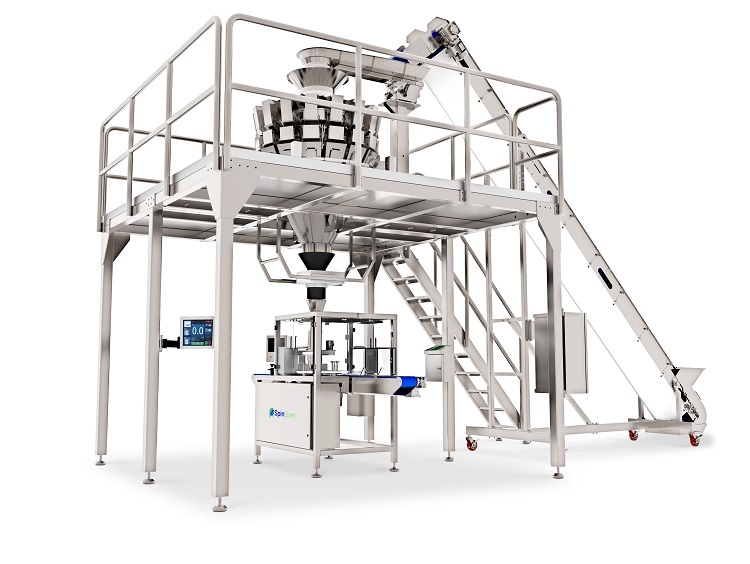 Our family of container filling machines are commonly used for packaging fruits, vegetables, confections, snack foods, baked goods, powders, spices, coffee, candy, hardware, pharmaceuticals and more. 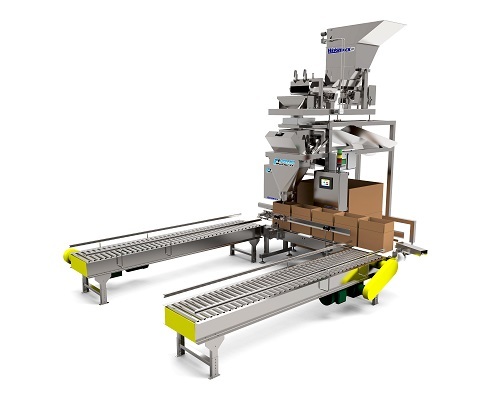 Built for bulk filling requirements, our robust box indexing conveyors are built to last. Our case indexing systems are engineered to your specific needs and designed for quick changeover and user friendliness. 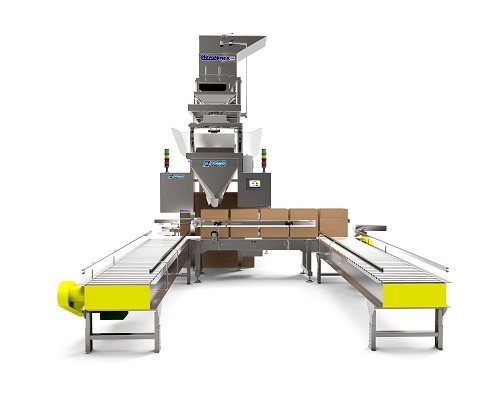 Our standard model includes stainless steel frame, PLC controls and color touchscreen. Our family of box filling systems are commonly used for confections, frozen foods, hardware, produce and more. The SpinDexer was designed to increase productivity when filling challenging products into rigid containers. 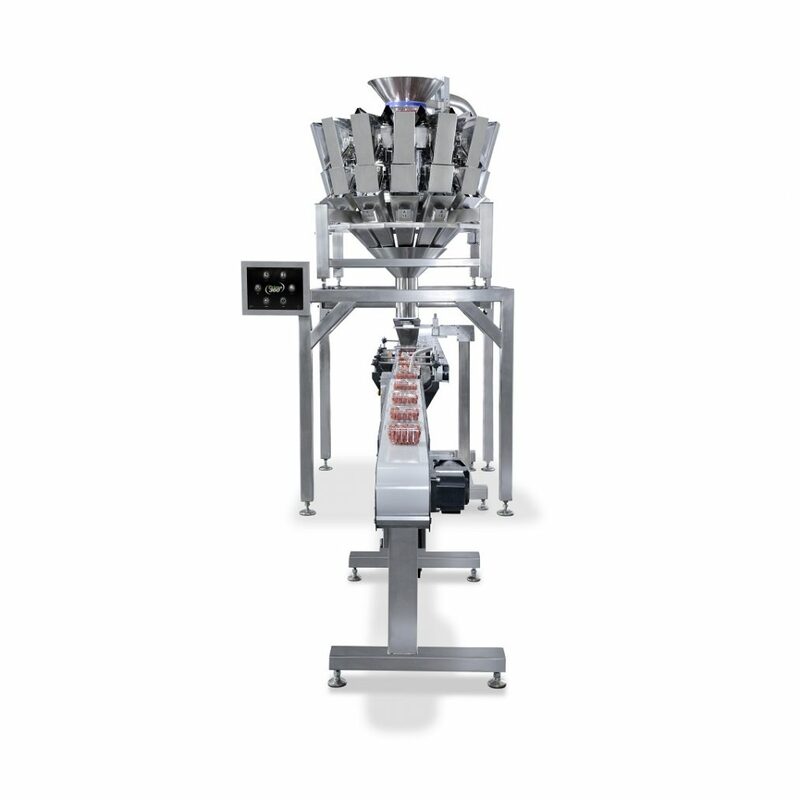 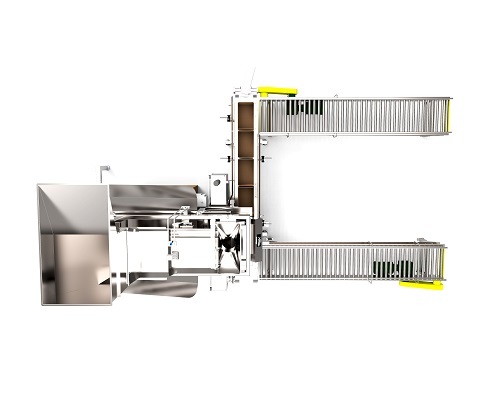 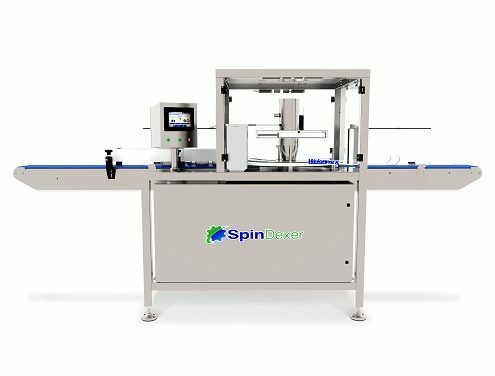 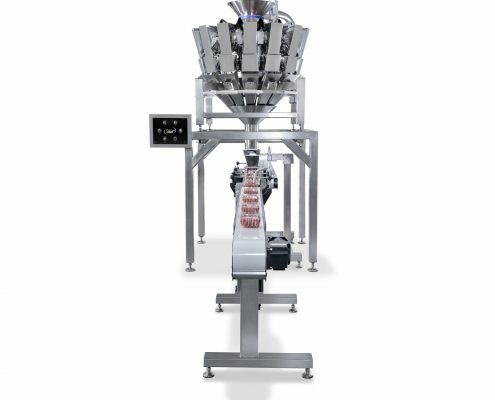 Available in three models, the SpinDexer includes a variable speed infeed / discharge conveyor, travelling funnel assembly, no container / no fill sensor and clog detection sensor. 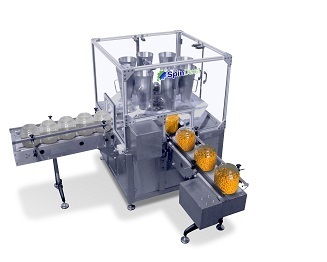 The perfect solution for vitamin gummies, cheese balls, pretzels and narrow nut containers, the SpinDexer is both compact and easy to use.